Stephanie Leon prides herself on her relationships with her clients and generates most of her business from referrals and recommendations. She is an expert in Residential Sales and Property Management. Stephanie has built a reputation as a hardworking, knowledgeable agent you can trust in South Florida. She has a history of success and integrity in real estate you can depend on. Stephanie Leon strives to give her clients the personal attention they need, she treats all her clients as if they are her only client. As your trusted Miami real estate agent, you can count on receiving the highest level of honesty and commitment of professionalism. Your interest comes first at all times. As a Buyer, Seller, or Landlord her goal is to provide you with the Best service and the Best results. In doing so, Stephanie Leon keeps up with the latest tools and trends making sure, her properties are marketed to their full extent and to be a resource for buyers. Given that 98% of buyers start their home search online, she has developed an aggressive online marketing campaign and networks with other agents to reach the largest audience possible in the least amount of time, benefiting all. Stephanie Leon is a long time resident of Miami and loving it. 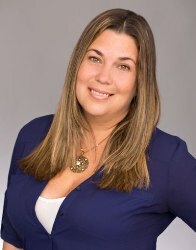 She is a full time Miami Lakes Real Estate Broker focusing on client’s interest first. She knows the Miami real estate market and applies her knowledge to give her clients an advantage over others, proving to be the right choice. She would love to share her knowledge of this market with you while guiding you with the biggest transaction of your life helping make your dreams come true.